William Lane Craig is a legend to Christian apologists. He has written or edited more than 30 books, so if you haven’t heard of him, you’ve almost definitely heard his arguments cited by debaters around the world. 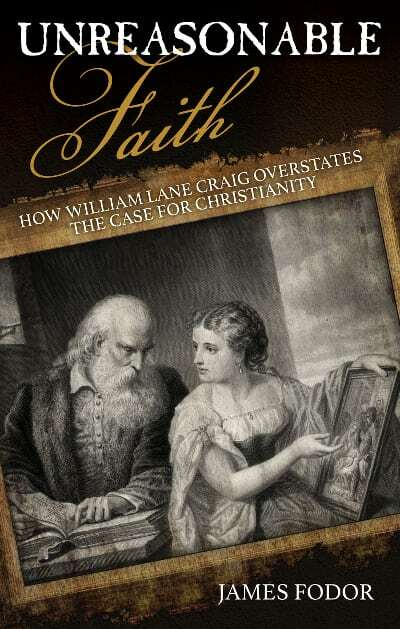 In a new book, Unreasonable Faith: How William Lane Craig Overstates the Case for Christianity, author James Fodor explains how Craig’s “proofs” for everything from the existence of God to the historicity of Jesus’ resurrection comes up short. Fodor, who has a graduate degree in physics from the University of Melbourne, takes down Craig’s most popular arguments one by one. 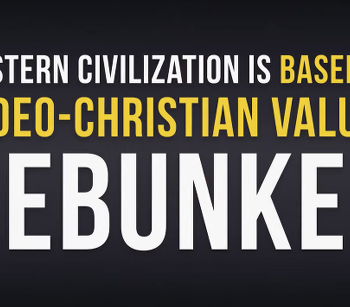 Craig is credited for resurrecting the Kalam Cosmological Argument, which, according to his “Reasonable Faith” website, shows philosophically and scientifically that God exists. The argument goes something like this: The universe exists. Therefore, something caused it to exist. What properties must this cause of the universe possess? This cause must be itself uncaused because we’ve seen that an infinite series of causes is impossible. It is therefore the Uncaused First Cause. It must transcend space and time, since it created space and time. Therefore, it must be immaterial and non-physical. It must be unimaginably powerful, since it created all matter and energy. In other words, because the universe came into existence, God did it (specifically, he argues, the Christian God). The kalam cosmological argument is a failure first and foremost because it is internally inconsistent. Its inconsistency lies in the fact that Craig cannot provide a philosophy of time that allows him to simultaneously affirm that the universe began to exist, and that the cause of the universe must have been an immaterial agent. Craig is also known for his promotion of the “fine tuning” argument, which says the universe was perfectly designed for its existence. If the gravitational constant was even slightly off, Craig argues, we wouldn’t be here today. That can’t be a coincidence. He ignores, however, that time and necessity shape the appearance of a universe tuned for life. The puddle finds a way to fit in whatever hole exists; the hole isn’t “perfectly tuned” to the puddle. In other words, Fodor points out, Craig’s argument itself is based on an unverified scenario. Craig often speaks of fine-tuning as if it is a well-established scientific discovery, when in fact the existence of fine-tuning as defined by Craig is not at all established by current scientific evidence. While many scientists have expressed various opinions about the concept of cosmic fine-tuning… most of these statements are either sweeping claims made well beyond the available evidence, or have been misinterpreted and misapplied by proponents of the fine-tuning argument. Overall, this is a great book for anyone who has discussions or debates with Christian apologists. These are the best arguments believers have to support their position in what appears, at first, to be a reasonable way, but as Fodor shows, the arguments fall short.